Caution Maven users The group and artifact ids of sat4j has changed in released 2.3.3 to allow sat4j artifacts to be distributed by OW2. They start now with org.ow2.sat4j instead of org.sat4j. Older releases will stay available under the previous group and artifact ids. Lightweight constraint programming with a SAT solver. Ships with Eclipse/Equinox 3.4+ as OSGi bundle org.sat4j.core. 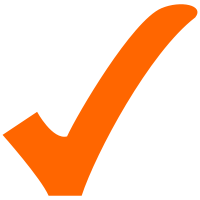 SAT Toolkit in Java. 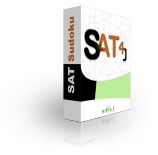 Offers a command line interface to SAT4J core allowing to easily test various SAT solver configurations. Pseudo-boolean Solvers. Ships with Eclipse/Equinox 3.4+ as OSGi bundle org.sat4j.pb. MAX SAT Solvers based on reduction to Pseudo-boolean optimization problems. CSP solvers based on a translation into SAT. Dependencies: SAT4J Core. Ships as a all-in-one package (SAT4J core included). This is free software by Artois University and CNRS under both the Eclipse Public License and the GNU LGPL licence developed at CRIL. The SAT4J project is kindly hosted on the OW2 forge.YourKit is kindly supporting open source projects with its full-featured Java Profiler. YourKit, LLC is the creator of innovative and intelligent tools for profiling Java and .NET applications. Take a look at YourKit's leading software products: YourKit Java Profiler and YourKit ASP.NET Profiler.